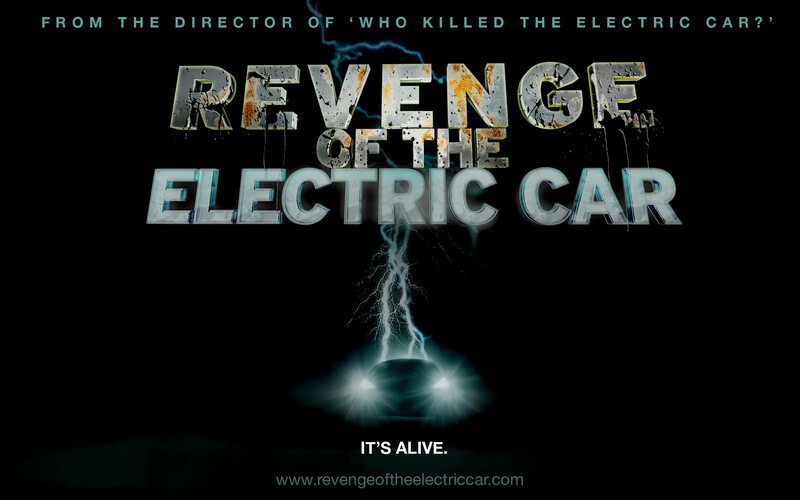 Our next monthly movie night will be ‘Revenge of the Electric Car’. Made by the same director as ‘Who Killed the Electric Car – 2006’ it follows the race to get electric cars to the market. Tuesday 15th of October (Apologies for the date change, but due to a venue clash the October and November movies will be on the 3rd Tuesday of the month). Please join us for food, drinks and electric cars on display at the Stirling Arms hotel from 6 pm. There will be Factory (Nissan Leafs), DIY electric conversions and professional transformations present to look at. Film screening at 7 pm, followed by more time to socialise and chat. Entry by donation to cover film license. Bring a friend, we hope to see you there. This entry was posted in Climate Change, Energy, Event, Movies, Peak Oil and tagged Electric Car, Electric Vehicles, EV conversion, Nissan Leaf. Bookmark the permalink. Thanks for an enjoyable and informative evening. It was great to meet the crew from the Australian Electric Vehicle Association and preview the future of motoring in Australia… I’d love to own an electric car and have now set my sight on one.